A tummy tuck, also known as an abdominoplasty, is a surgical procedure that reduces excess fat and skin from the waist, and in most cases restores weakened or separated muscles creating an abdominal profile that is more smooth and firm. A flat and well-toned abdomen is something many of us strive for through exercise and weight control. Sometimes, however, these methods can not achieve our goals. During your tummy tuck procedure, a cosmetic surgeon will make an incision that typically goes from hip to hip. The entire abdominal wall is lifted, and the underlying muscles will be tightened. The skin will then be pulled down and re-draped to maximize the amount of skin removed. Once complete, you’ll be left with a flatter belly and more defined waist. The best candidates are nonsmokers who are physically healthy and at a stable weight, and who have realistic expectations of their results. 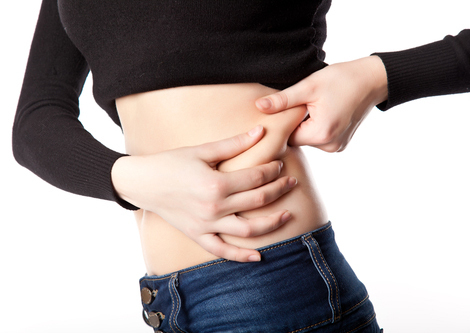 Although the results of an abdominoplasty procedure are technically permanent, the positive outcome can be greatly diminished by significant fluctuations in your weight. For this reason, individuals who are planning substantial weight loss or women who may be considering future pregnancies may be advised to postpone this procedure. It’s also important to remember that tummy tuck surgery is not a substitute for weight loss or an appropriate exercise program for a flat tummy. Also, tummy tuck operations cannot correct stretch marks, although these may be removed or somewhat improved if they are located on the areas of excess skin that will be excised, generally the treated areas below the belly button. Tummy tuck recovery is an important time when the surgery site must heal. The time it takes to recover varies based on several factors, including the extent of the surgery and the age of the patient. Generally, patients should plan on about two weeks for postoperative healing. To help speed this process up, be sure to follow all instructions. Vitamin supplements may also be helpful. If you’re interested in having a tummy tuck procedure, feel free to set up an appointment for a consultation with cosmetic surgeon Dr. Jeffrey Marvel. During the consultation, Dr. Marvel will sit with you and discuss in great detail your goals and expectations. Also, he will assess the area that you wish to improve. During this process, it’s important to communicate your aesthetic goals. Based on the consultation, Dr. Marvel will be able to accurately assess whether you’re a good candidate. Please call 615-329-3900 to arrange for a consultation.